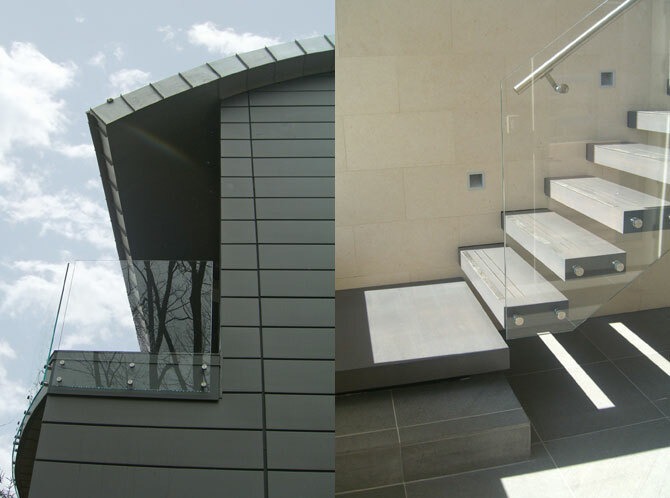 Equally important in the design of this project are the functions of both Guest House and Garage for the owner’s extensive car collection. 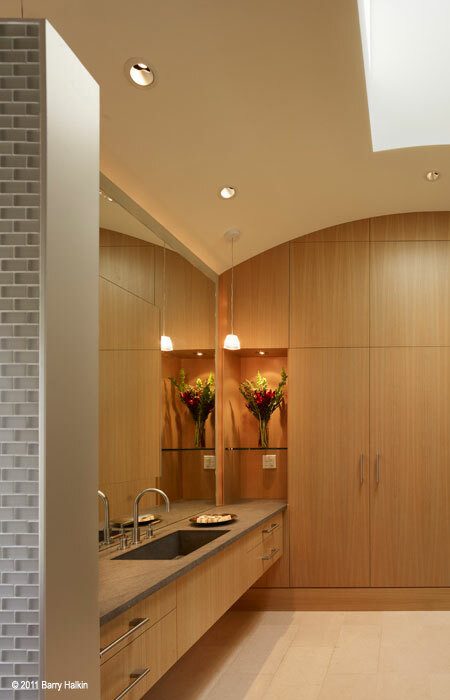 These seemingly separate functions are pulled together and emphasized through extensive use of glass walls. 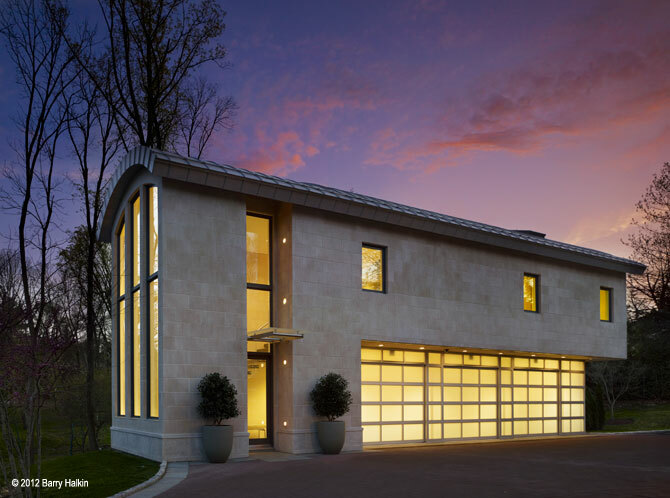 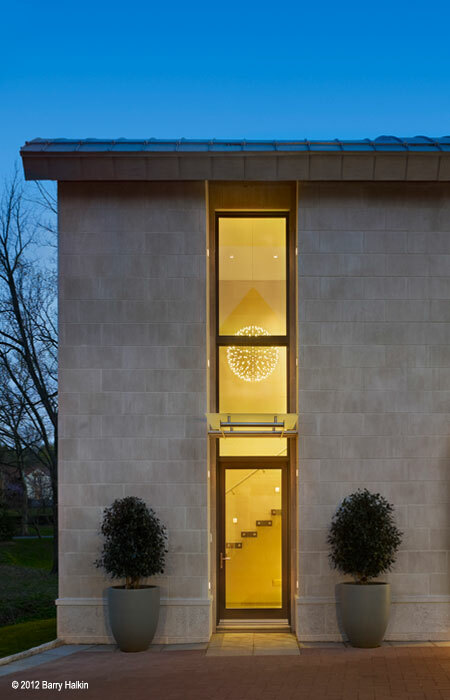 A dramatic entry joins the Guest House and Garage, where a wall of glass presents the owner with a view of the car collection as they move up the floating cantilever stair to the upper level Guest House. 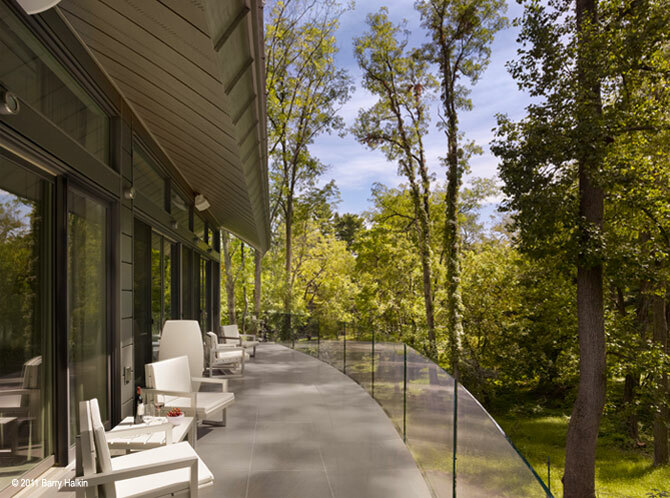 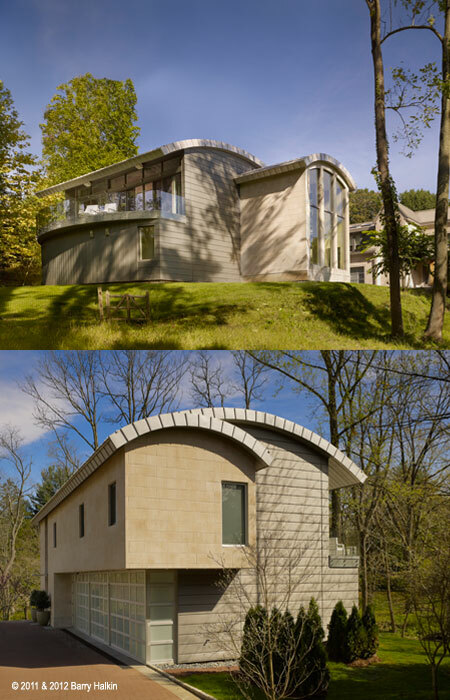 In the Guest House, a wall entirely of glass opens onto a large sweeping terrace overlooking the surrounding wooded conservation area, reconnecting the owner with the outdoors.